A seizure is an involuntary and uncontrolled movement of the muscle. A person experiencing a seizure falls and becomes rigid while this uncontrolled voluntary movement is been experienced. This uncontrolled movement comes unexpectedly on the victims and may impose serious health risks to the victims. This is because the person has no control over their actions they can end up injuring themselves. Also they may start frothing at the mouth and in some cases lose control of their bladder and/bowel movement. Before a person experiences a seizure they might appear to be staring blindly into space or they might loss some form of contact with their environment in that they become disoriented. However, there is no set pattern for the sign or symptom of seizures. Therefore the best thing to do if you see a person having a seizure is to avoid restricting the person’s movement. Instead try to protect the person from unnecessary injuries by moving objects from around the person that are liable to fall and/break. Also, cradle the person’s head in the palm of your hand to prevent them from hitting their head on solid surfaces, as this can lead to clots and perhaps unconsciousness. 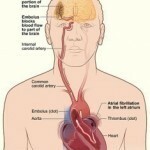 WHAT ARE THE CAUSES OF SEIZURES? One main cause of seizure is due to drug overdose. An overdose of drugs disrupts the normal chemical balance in our body. With this happening the body becomes intoxicated with harmful substances that cause disorientation leading to involuntary muscle spasms. Head injuries such as those experienced in a serious accident can also cause seizures. This may be because of blood clots that prevent the regular flow of oxygen to the brain or due to the build-up of fluid in the brain. Stroke is another cause of seizure as well. With parts of the brain not been able to function due to a compromised oxygen levels caused by blockages, persons will suddenly start to convulse and lose all semblance with their environment. Tumors and other degenerative brain diseases also contribute to seizures. Tumors can be a malignant cancer that destroys brain cells causing a person to experience mild to severe seizure-like experiences. Persons may also experience seizures if they have diseases such as Parkinson’s disease. People with such conditions often have mild involuntary shakings and in some cases they may experience these convulsions without any dire warning. As the seizure lessens the victims often become confused, disoriented, and tired so you have to ensure that they get enough rest when the convulsion is over. Persons with seizures disorders can have their condition controlled by medication. However, the unset of unusual stress, missing their medication, and other factors will cause them to convulse.